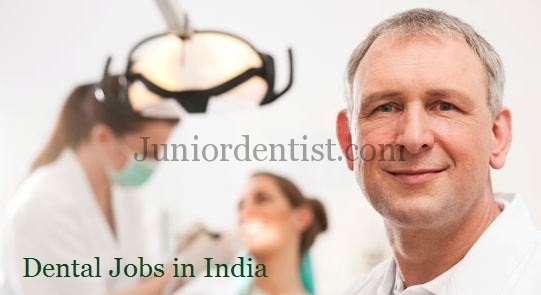 Home » Dental News » What is the future of Dental Jobs in India ? What is the future of Dental Jobs in India ? Dental Graduates in India are getting worried about the future of Dentistry and jobs in Dentistry in the near future. There is a very high increase in the scope of Dentistry all around the world, people are more aware now and more concerned about Oral health and have come to know the importance of a good smile in looking beautiful or professional. But the current scene in the market is both difficult and competitive for a new and upcoming dentist. Earlier a Masters degree or MDS was a good career plan, where a Dentist can get settled in a college as a Senior Lecturer with fixed pay and might even go for consultations in the evening getting a decent pay from both. But it is not the case at present with huge number of MDS graduates passing out each year and lack of vacancies it has become difficult to an extent. I have been asked many times what the future of Dentistry is going to be in India because of the huge number of Dental Graduates passing out every year and at the same time new dental colleges coming up rapidly all around India. I personally think that the ratio of Dentists to India will be constant as you know the rapid increase in population is equal to the increase in the number of Dental graduates in India. But with well established clinics having no problem in attracting patients, it is the new and upcoming Dental graduates who are facing problems with competing with established clinics and trying to get through with the high expenditures of setting up a clinic and maintaining it on a monthly basis. One thing to look at is that the concentration of Dentists and Dental clinics is mainly targeted at Urban population and when we go to the Rural places the Ratio of Dentists to population is very low and way below par. The most important part in the increasing the number of Dental Jobs in India because of the increase in the number of Dental Clinics and more importantly Dental clinic chains all around India. Dental chains and clinics are using good amount of advertising to look for new graduates to work in Dental clinics and this has made it difficult for an individual Dentist who has set up his or her own clinic to go up against these corporates. Recently a Dental chain has also started conducting Campus interviews for Interns to recruit in their Dental clinics around the state, for example, we have seen that there are many job vacancies in Bangalore recently which are vacant and this shows that there is no decrease in the number of Jobs for Dental Students. Hello sir actually I am thinking to take Bds what I am getting the doubt is can I get govt job after completing mds?? Yes, you can get a Govt Job even after completing BDS and MDS as well. But you need to apply for the limited number of seats available and there is a lot of competition for it. is it correct joining bds spending 4lakhs/year ?? instead going abroad and joining mbbs is better na ?? I couldn’t make my decision?? 4 lakhs per year for BDS is a bit steep, depends on which university you are joining in. i should do bds or bachelor in physiotherapy from private college?? If we do dental in private colleges is it helpful to future??? 4.5 lakhs pre annum is a bit steep for BDS at the moment, there are a lot of seats being left without being filled and payment seats are much cheaper than what you are going to pay. If you are interested in being a dentist you can go ahead, but if you are doing it just to get the Dr tag in front of your name is better to think for a second time, as the struggle is going to get harder to settle down 5 years down the line when you will be passing out. There are two meanings for Best – 1) in terms of getting jobs, consultations, money etc. 2) In terms of satisfaction. The first one it comes down to clinical departments like Orthodontics, Endodontics, Oral Surgery which are the most sort after departments in PG by BDS graduates. The second option is satisfaction, in clinical departments make sure you take up the department which you would love to pursue for the rest of your life. For example, If Oral surgery and you end up taking Endodontics or Orthodontics for the sake of it, you will end up regretting it or not have the satisfaction you had while doing surgery for the rest of your career. When it comes with the salary, it varies from Clinic to clinic and College to College (as a lecturer). There is no minimum and maximum set by our Dental council so it varies a lot. Both are quite different from each other, it depends on your goal in life. Check out the prospects of both and just check if you would be happy with what you have choosen. Sir, Is spending 2.50lakh per year For Bds In government Aided College is Good? There is enough Bds and Mds people in this country. Choose another field but do not go for DENTISTRY. MDS are jobless earning less than 20000 pm. Government recruitment does not happen, even if it happens very few vacancy namely 5-8. Be a labour at construction site with wage of Rs.800 daily but do not choose this field. You will regret at later state of life still dependent on your parents money for survival. I’m a dentist having 2 yr exp … NW I have an idea to start a dental clinic … Coimbatore is a gud site for opening or any where in TN….hope u rply …. If you are prepared mentally and financially to start your own practice, there is no particular place which is good and which is not. Just make sure that you are not located in a fully saturated area which means more than 5 clinics of experienced Dentists in a span of 1/2 to 1 km radius. One of the most important thing to keep in mind is to be prepared to face losses after the first month or so till atleast a few months. As in the first month all your relatives and friends might come to you after opening your new practice and after that the flow dies down. It is important to not loose hope and keep motivated and give your best.